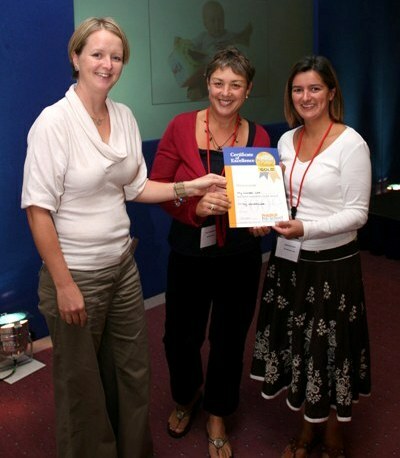 LBP (Loved by Parents) Gold award. 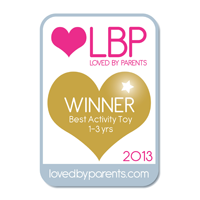 Winner Best Activity Toy 1-3 years 2013. The Practical Pre-School Awards exists to identify and reward excellence in the fields of educational equipment, childcare, books and toys suitable for children aged birth to eight for use in professional childcare and educational settings. The Gold Award standard is not easily achieved. It is a much coveted and meaningful award. Products needed an average score of 90 per cent or more to attain gold. Helen Twigge-Molecey, creator of My Wondercube has won a Special Recognition Award at the internationally respected British Female Inventors and Innovators Award in Cardiff.